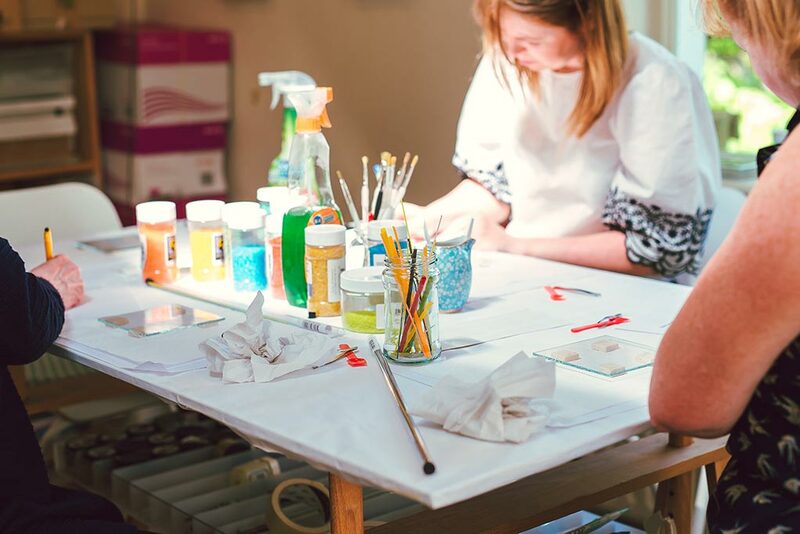 These beginner glass fusing classes will introduce you the joys of working with brightly coloured glass to design and create a glass image for framing, a slumped (curved) glass piece for display and two small pieces of jewellery. Each one of these art pieces would make an ideal gift. 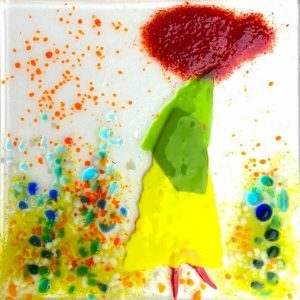 Glass fusing is about layering small pieces of glass together. They are kiln fired overnight, at controlled temperatures, where the glass melts and fuses together creating a beautiful image. All class material, 3 kiln firings, one small picture frame, tea & coffee are all included in the course fee. Morning, evening or weekend sessions are available, choose session a, b or c below to suit your availability. 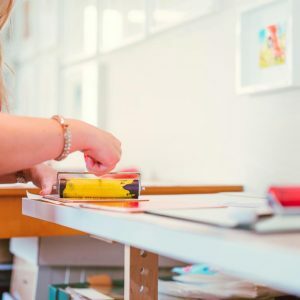 No previous experience of working with glass is required. Class duration: 2 hours per week x 3 weekly sessions. 6 hours in total. What to bring: your wonderful self! Please wear closed toe shoes (no sandals) for safety reasons and bring reading glasses if you normally wear them. This short video will explain more about the process involved. 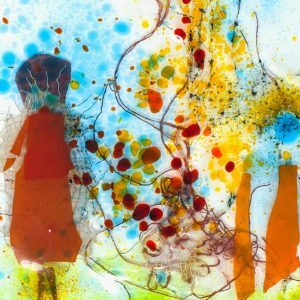 Glass Fusing Workshops with artist Vera McEvoy from vera mcevoy on Vimeo.